Many lawyers have written extensively on the legal issues surrounding recruitment agreements, but there is an information gap out there between the discourse over the legal issues and how those issues make an impact on the actual business, the practice. When a practice decides to employ a new physician with the help of a hospital, the practice is essentially a business making a business decision. With that in mind, the practice must fully inform itself of the implications that a Recruitment Agreement will have on their bottom line. In many ways, Recruitment Agreements are designed to foster positive interactions between recruited physicians, physician practices and hospitals. They are a useful tool for a practice to bring on a new physician without having to expend large amounts of money before the practice gains a return on its investment. Recruitment Agreements general involve a hospital “loaning” money to a physician to entice the physician to treat patients in the hospital’s community. In the alternative, the hospital “loans” money to a practice employing a physician to affray the costs associated with the physician joining. These “loans” are forgiven over a specified time period, provided that the recruited physician continues to serve patients within the hospital’s community during that time period. Can your practice afford to repay the loan to the hospital on the terms contained in the Recruitment Agreement? Hospital will often look first to the practice to repay the loan if the physician does not remain in the community during the forgiveness period. Practices should attempt to offload this responsibility onto the physician as much as possible. How will the hospital filing a UCC-1 against your practice’s AR (or the recruited physician’s AR) affect your ability to obtain a practice loan in the future? Along with the actual Recruitment Agreement, sometimes, hospitals will file a lien against the practice until the loan is completely forgiven. These liens may prevent the practice from obtaining any additional loans during that period. Is your practice prepared to repay to the hospital any money earned in excess of the physician’s loan? In the Recruitment Agreement and corresponding note, hospitals will sometimes require a practice to use money earned in excess of the loaned amount to pay down the loan. What exactly is the hospital’s guarantee designed to supplement? A hospital may require that the money it is providing will be used only toward a physician’s salary and/or employment benefits. If your practice intended to use a portion of the money to account for the increased overhead associated with employing a new physician, this is something that must be addressed with the hospital prior to receiving the loan. Does the practice intend to employ the physician with a non-compete? The laws place restrictions on how restrictive a practice’s non-compete may be. See this article on non-competes. Moreover, even if your non-compete is compliant with the law, many times hospitals are required to approve the non-compete as a condition of providing the loan. 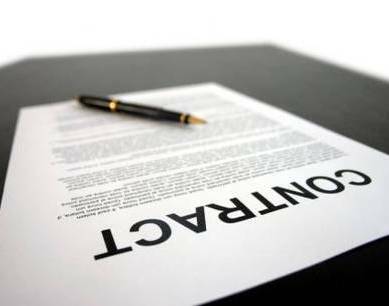 As with many contracts, terms contained in Recruitment Agreements are often negotiable. Working closely with a hospital to create an agreement that addresses both legal and business concerns that are important to both parties is paramount. This entry was posted in Contract Questions, Group Practice Concerns, Healthcare Business, Healthcare Transactions, Jacqueline Bain, Medical Practices, Physician Employment Agreements, Physician Employment Issues, Physician Recruitment and tagged Hospital Loans, hospital recruitment, Jacqueline Bain, Physician Employment Agreement, Physician Employment Benefits, Physician Non Compete, Physician Recruitment Agreement, UCC-1. Bookmark the permalink.